Parent2Parent supports are delivered through accessible online and social communities, as well as private, face-to-face support groups and individual meetings. Once you're a member of Adopt4Life, one of our Provincial Parent Liaisons will initially welcome all new parents and get to know your individual needs. Regional Parent Liaisons will then work with you to offer the supports most appropriate for your family. Those can include awareness and advocacy within your school system and community, including connecting you with local resources such as doctors, therapists, and mental health professionals who understand the unique needs of adopted children. You'll also be introduced to our private social communities, where our members can share their similar experiences and learn from each other. In many cases, it will be possible to match families with other adoptive families with similar situations, in informal buddy or mentor relationships, to facilitate in-person support. All Parent Liaisons will also work collaboratively to connect parents with additional resources and adoption education programs from the Adoption Council of Ontario, Ministry of Children & Youth Services, as well as local Ontario Children’s Aid Societies. Become a member of Adopt4Life. It's free to join. On your membership registration, select 'Yes' to receiving Parent2Parent Support. One of our Parent Liaisons will contact you directly. Kimberly is an adoptive mom to a sibling group adopted through the children’s aid. As a new adoptive mom with a less than typical adoption journey, she realized the need for support for families through the adoption process to foster permanency. Kimberly is a Registered Social Worker with a degree from Ryerson University. In her previous position as a Care Coordinator at the Central CCAC, her role was to assist patients and their families in coordinating home/community supports to reach patient goals. Kimberly is used to working with diverse populations, including children, adults and seniors, with varying needs and cultural backgrounds. Kimberly is a dedicated and committed individual who focuses on the importance of advocacy and equity of supports for all. and mentors as they move through their own adoption journey. Advocating for and connecting families of all shapes, sizes and backgrounds to a wide range of mental health, child development and social services is a role in which Shannon is actively engaged, both personally and professionally. Shannon is our Regional Parent Liaison (RPL) for the Algoma region. Heather has years of knowledge and experience as an adoptive and foster parent. She and her husband have 3 beautiful children and are currently fostering children ages 0-3. They are also kin parents and have one heart child who is 22yrs old. Given their experience, they have been chosen to mentor through a program called Wraparound for children leaving care. Lesli is a proud mother of 8 children; 4 by birth and 4 who grew in her heart. Lesli and her husband, Jeff, have been foster parents for over 15yrs and she has spent more than 10yrs working in child and youth mental health. Her passion makes her a strong advocate for youth in and out of care. She is the co-founder and executive director of Wraparound families, which seeks to find families and support within communities for youth who are moving on to independent living or have aged out of foster care. 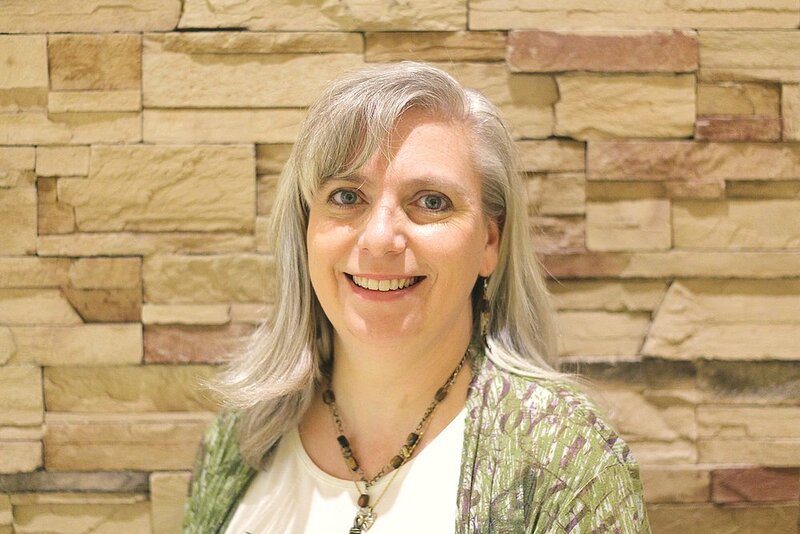 Leslie's involvement in the First Nations community and her passion for helping families who have adopted First Nations children learn more about their child's heritage are of critical importance for her, including helping adoptive families connect with their First Nations community. Lesli is also a PRIDE co-facilitator and continuously attends training related to addictions, attachment, trauma, FASD, advanced facilitation and more. Heidi is involved with the Families with Children Adopted from South Africa Parent Support Network and sits on the Networks Leadership Circle. She is committed to providing quality support and services to adoptive families through her new role at Adopt4Life. Heidi is one of our Regional Parent Liaisons (RPL) for London. Joy is a parent of three children, adopted as a sibling group at ages one, two, and three. For over a decade, Joy practiced as an occupational therapist in adolescent mental health, and now provides community-based occupational therapy services to individuals experiencing the effects of injury. Through her occupational therapy career and parenting journey, Joy has maintained a focus on promoting connection, validation, adaptation, identity, and hope. Since becoming a parent through adoption she has pursued ongoing learning opportunities addressing these issues. Joy has particular interests in attachment, trauma, connected parenting, pre-natal substance exposure, trans-racial and First Nations adoption, and sibling adoption.It is Joy’s desire for individuals, families, and systems to have barrier-free and timely access to preventative and responsive supports, strategies, and opportunities in order to meet their needs and promote well-being. Joy is one of our Regional Parent Liaisons (RPL) for London. Joyce is one of our Regional Parent Liaisons for the Ottawa region. Lauri is both a biological and adoptive mom. She has two teenage sons and a nine year old daughter who, at age two, travelled from Kazakhstan to join her new family. After a long career in human resource management and conflict resolution, Lauri returned to her studies where she focused on how to increase capacity and outcomes for children who suffer early trauma. She recently completed her M.Ed. in Counselling Psychology. She considers that her eight month placement at the Children’s Aid Society of Ottawa was invaluable in giving her the practical knowledge she needs to be an effective and passionate advocate for children and their families. Lauri is one of our Regional Parent Liaisons for the Ottawa region. Jessica is one of our Regional Parent Liaisons (RPL) for Toronto. Kathryn is an adoptive mom to 3 young children, two of which are biological siblings, adopted through the Children’s Aid Society. Through her unique adoption experience, Kathryn and her husband have embraced the various levels of openness as well as the intricacies of the foster-to-adopt process. Kathryn holds a Master’s Degree in Critical Disability Studies as well as a Bachelor of Social Work. Her previous work experience includes supporting families of children with special needs and providing crisis intervention to young adults with developmental disabilities. She is also certified as a Triple P–Stepping Stones instructor and a Crisis Prevention Intervention (CPI) facilitator. Kathryn has extensive experience in the special needs and mental health field both from a personal and professional level. It is through this journey, that she developed an in-depth understanding and focus on the advocacy of children and their families. Kathryn is one of our Regional Parent Liaisons (RPL) for Toronto.